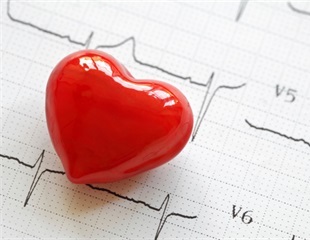 New report highlights trends in heart disease care in the U.S.
Over 93 percent of heart attack patients are receiving stents within the guideline-recommended threshold of 90 minutes after arriving at the hospital, with the median time to stenting only 59 minutes, according to a broad report on trends in heart disease care from the American College of Cardiology's National Cardiovascular Data Registry published in the Journal of the American College of Cardiology. New echocardiographic ultrasound methods can non-invasively evaluate deformation of the heart muscle in order to identify abnormal function in children who were operated for coarctation (narrowing) of the aorta. More than 10 pediatric cardiologists from Children's National Medical Center will present at the 2012 American College of Cardiology Scientific Session, which runs from March 24 - 27 in Chicago. Experts from a variety of pediatric disciplines will discuss relevant and current findings for practitioners who manage patients with congenital heart disease. Cardiovascular Magnetic Resonance (CMR) has undergone substantial development and offers important advantages compared with other well-established imaging modalities. Researchers from the Congenital Cardiovascular Interventional Study Consortium (CCISC) who evaluated the intermediate and long-term results of stent implantation for aortic coarctation found that cumulative intermediate success was 86%, and cumulative long-term success was 77%. Results of this study appear in the October issue of Catheterization and Cardiovascular Interventions, a journal published by Wiley-Blackwell on behalf of The Society for Cardiovascular Angiography and Interventions. Cardiac interventionalists and surgeons at University Clinic in Leuven, Belgium have achieved successful stent implantation and follow-up coarctectomy in premature infants suffering from aortic coarctation. Full findings are published in the March issue of Catheterization and Cardiovascular Interventions, the official journal of The Society for Cardiovascular Angiography and Interventions.